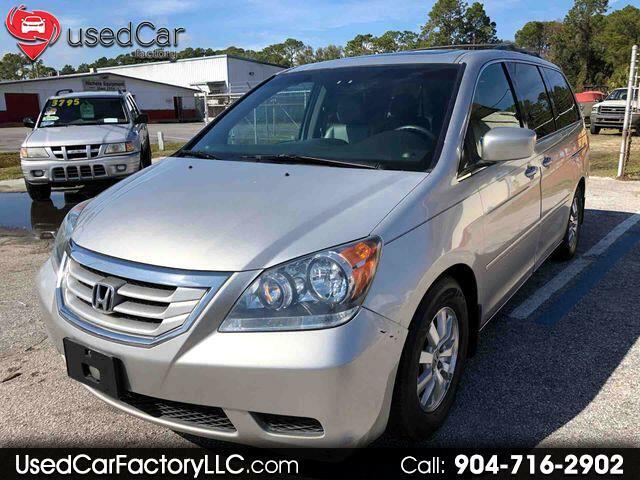 Visit Used Car Factory LLC online at www.usedcarfactoryllc.com to see more pictures of this vehicle or call us at 904-716-2902 today to schedule your test drive. Used Car Factory LLC is the dealership with answers. If you have any questions or concerns, then you need to trust in our amazing staff to find you the right solutions. We have years of experience in this business, and we can tell you anything that you need to know about our cars, the car buying process, or any service that you may need. Use the page below to get all the answers that you are looking for. You can give us a call, send us an email, or even stop by. We love helping people in Jacksonville, and we are always happy to meet our customers in-person. Let us provide you with all the help and assistance that you need during the car buying process. Message: Thought you might be interested in this 2009 Honda Odyssey.